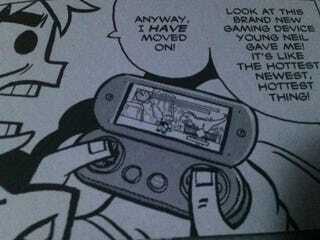 In Scott Pilgrim book six, Scott plays Monster Hunter on "the hottest new thing." Bryan Lee O'Malley must have written this bit a long time ago. As seen at Capcom Unity.